Here are some of the great new features available when you upgrade to our latest version. This latest update is available to Timemaster users with a current Software Assurance contract and can be downloaded from here. This release includes additional features to help you comply with this new data protection regulation. A guide for Timemaster administrators is available to help them understand what personal information is stored on Timemaster and how to secure access to it. We have also updated our standard operating procedures for when you send us your Timemaster data for troubleshooting. One of the key benefits of implementing a centralised system like Timemaster is the ability to track and manage projects in real-time. Having key metrics accessible on your Timemaster home page makes it easier to see which projects are on target, or on track to make a profit, as well as those which are not. Timemaster adds the Project Profitability, Project Targeting and Project Limits as twelve Top 10 and Bottom 10 widgets with green, amber and red indicators that can be quickly added to your home page, giving you this information at login. It's possible to reposition them to tailor your view, add extra home page tabs to group widgets, or remove any unwanted ones by dragging them to the yellow recycle bar at the top of the home page. Go ahead, its simple to personalise your experience by creating a dashboard more relevant to you. There is now no need to collate different documents to support the invoice you send to your clients. Instead, Timemaster now automatically attaches any expense receipts files stored against the expense to the invoice. Your invoicing team can also add additional supporting files necessary to further support the outbound invoice. 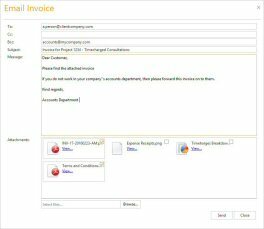 For more information on this feature, refer to the Add/Delete file attachments section in the Edit Invoice Header topic of the online Help. 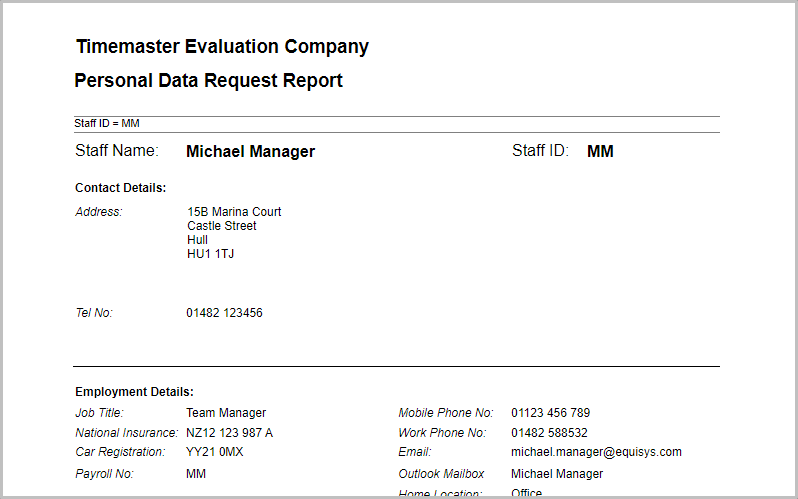 What's more, you can now also email these invoices to your clients directly from within Timemaster. 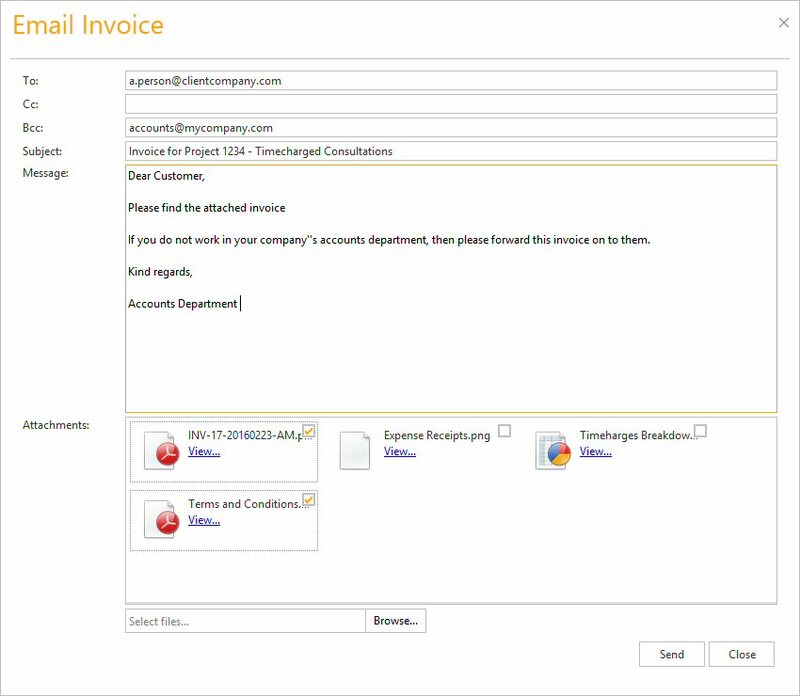 These enhancements provide significant time savings for your finance team when creating and processing invoices, as well as providing a central 'emailed' archive of processed invoices when you use blind copy (BCC). 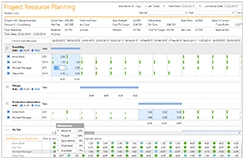 The ability to Spread, Slip and Change Assignments while editing Resource Planner. You can even skip days of the week while allocating time to a resource. The inclusion of the Office Workload. Yes, thats right, the populate Office Workload that so many of you use has now been ported across into the Web application. We have included 'What If' scenario planning which enables you to create and save different resource plans before selecting the one you desire. 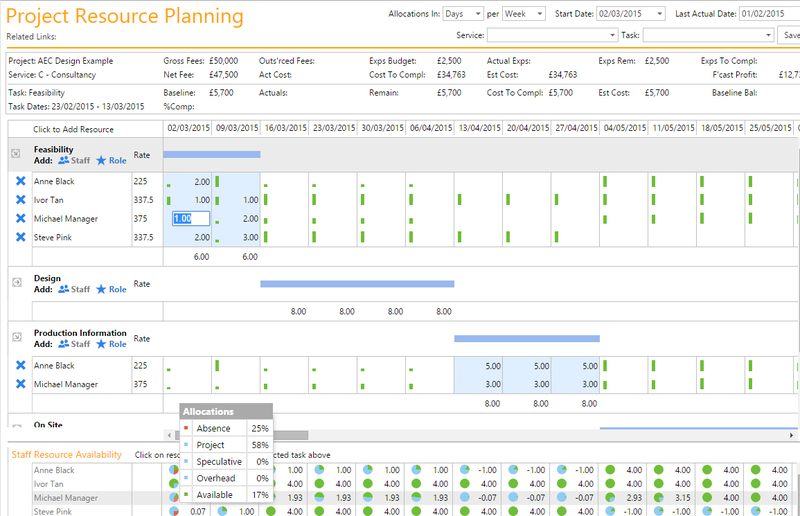 Want to really delve into the where staff time is being booked and how much it is costing? How about seeing it per customer, project or task? Are you confident you are able to recover that time and what has been invoiced so far? Do you want a really flexible way to slice and dice multiple dimensions, and then be able to come back to that same set of data next week, or next month such that it remembers your choices? 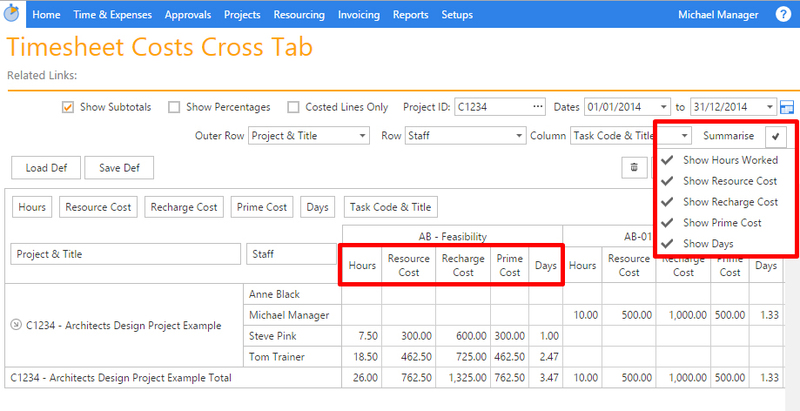 Well we’ve extended the reporting capabilities of Timemaster by introducing Timesheet Analysis reporting which provides users with the ability as well as to summarise on Resource Costs, Recharge Costs, Prime Costs, Written Off and even Chargeable Hours. This means that you can probably find most information more easily without running or developing a dedicated report to do so. These are a few of the highlights in this release. Other features and fixes are all detailed in the release notes and are all available at no extra cost to all customers on an active support plan. Enhancements introduced in previous releases can be found here. The latest version of Timemaster can be downloaded by registered users from here.